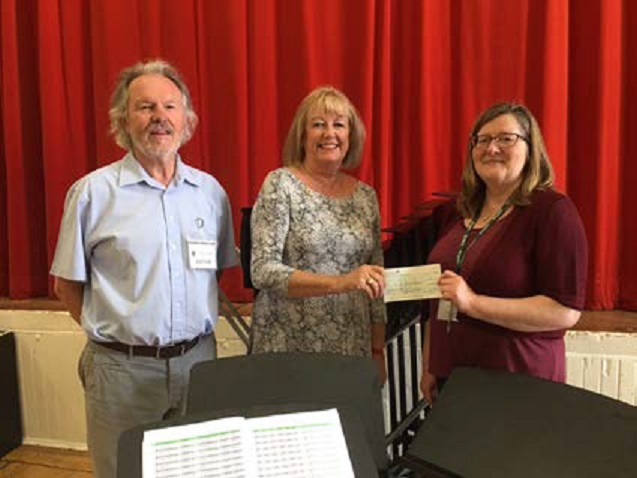 This picture shows John Copeland and Janet Hughes presenting a small cheque to Sue Hurrell for the music stands that you can see in the foreground. These are professional quality and should not fall to pieces like the previous ones. In times of reduced funding for the arts such donations are particularly welcome.